Where Can You Find the Best Mini-IVF™ Protocol in NYC? Only innovators of the Mini-IVF™ protocol can offer the best treatment in NYC. What’s the real story? ABC News reports that the Mini-IVF™ – a newer and gentler IVF protocol – has been successfully refined and practiced by our fertility specialists for over a decade. Look: Many women who have failed Conventional IVF have achieved a successful pregnancy after undergoing a Mini-IVF™. It can’t be emphasized enough by Dr. John Zhang – Medical Director and CEO of New Hope Fertility Center – You only need one good-quality egg to achieve a live birth. With Mini-IVF™, you make very few eggs, but good quality eggs to achieve a pregnancy. – ABC News. Pregnancy success rates for Mini-IVF™ are comparable to Conventional IVF – without the high cost of large quantities of fertility medications. This holistic IVF protocol is gentle on a woman’s body because patients follow a low-dose oral drug regimen during a fresh cycle – instead of the typical rigorous administration of daily hormone shots. Because less medication is used during a Mini-IVF™, most women do not experience unpleasant symptoms – such as extreme swelling/bloating, night sweats, and weight gain. The Mini-IVF™ is an option for women who may respond better to lower doses of fertility medication. 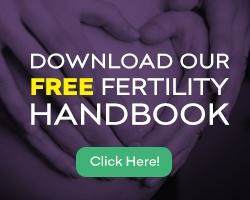 This holistic protocol may help women produce higher quality eggs for successful fertilization. Because less fertility medications are used, the Mini-IVF™ is more affordable than Conventional IVF. Contact New Hope Fertility Center for most current pricing on our fee for the Mini-IVF™ procedure. Our quoted fee will not include the cost of fertility medications. Only the best Mini-IVF™ clinic in NYC will accumulate and post online the unlimited patient success stories from their patients. At New Hope Fertility Center, we strive to maintain our position as the best Mini-IVF™ clinic in NYC by producing high pregnancy success rates. Our reputation as the best Mini-IVF™ clinic in NYC, has earned us the status of being a renowned leader in IVF technology globally. It is important to work with IVF experts having the research and clinical expertise to design a customized treatment plan meeting your financial and medical needs. To schedule your initial consultation with one of the best Mini-IVF™ doctors in NYC at New Hope Fertility Center call 917.525.5496.